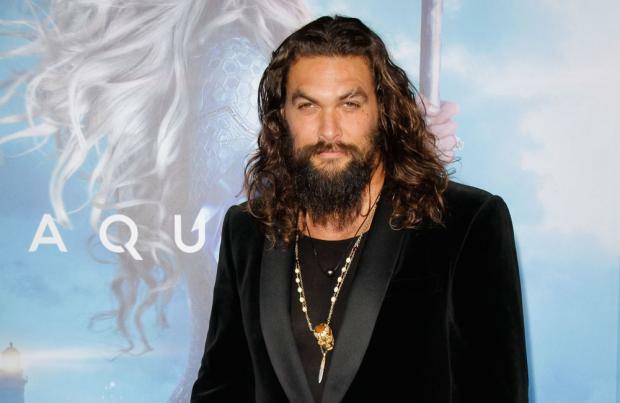 Jason Momoa was asked to take off his tank top and appear "shirtless" for a scene in DC's 'Aquaman' despite not "being there yet". The 39-year-old actor plays the central character in the new James Wan-directed superhero movie, and he was in the process of "starving himself" to get the chiselled look when producer Peter Safran requested he take off his shirt off even though the star felt he "wasn't ready". Speaking to Collider, Momoa said: "I get called into an office and they did a test and I wasn't supposed to be shirtless in this scene, I was supposed to have a tank top on because we weren't ready to do the shirtless scene yet because it takes a long time, you have to starve yourself. "I wasn't ready yet and Peter Safran is like 'we really want you to do this scene shirtless' and i'm like 'dude I'm not there yet'. So James [said] they really wanted that to happen, f**k it so I took the damn shirt off. "At the end of the day Aquaman's the kind of guy whose not sitting around doing sit-ups anyway, he's got a pint and he's missed happy hour." The DC star also confessed that he's never received such a wave of support from fans for any project he's worked on and admitted it's a "great feeling". Jason added: "It's never really happened to me so its an absolute great feeling to put in hard work and then people not be ripping apart before it comes out because that's always the hard thing is making these movies and then critics just kill out and then they never see the light of day. "It's nice people are responding well to it."